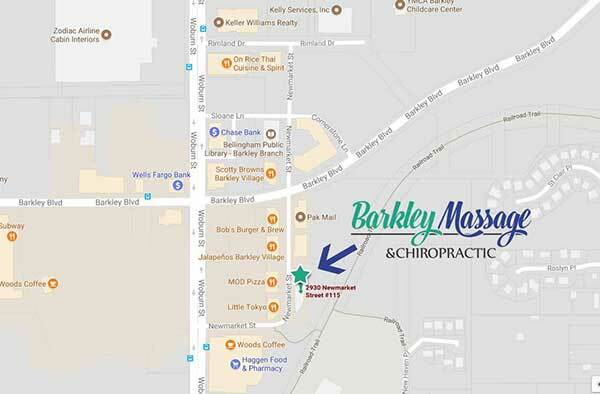 Barkley Massage & Chiropractic in Bellingham, WA, offers chiropractic care that can help end your pain. If you’re suffering from pain in your back, neck, shoulders, legs, or any other part of your body – we can help. We offer a holistic approach to healing with options you will not find in your regular doctor’s office, such as chiropractic adjustments followed by a deep tissue massage. 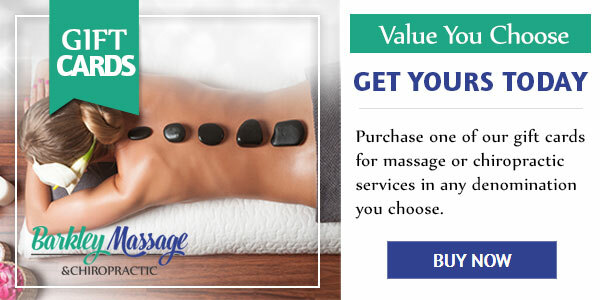 These two services combined work together to help you heal properly and get back to a happy and pain-free life. It’s easy to forget how essential correct spinal alignment is until something is off. You feel it with every twist, bend, and stretch. Even sitting still for long periods of time can be agonizing. We understand and we can help. Problems like sciatica and digestive complaints may seem unrelated, but can often be improved greatly or even eliminated by regular chiropractic adjustments. When you visit Barkley Massage & Chiropractic, our chiropractor will create a treatment plan that is tailored to your specific needs. We feel that the body, with the right treatment plan, can often heal without surgery or heavy pharmaceutical drugs. We offer a more natural approach that supports the health and wellness of both your body and mind. With over a decade of experience, we at Barkley Massage & Chiropractic know that at the core, adjusting and realigning your back and limbs affects every nerve and organ in your body. All of your bodily systems are tied to your spine. If your posture and alignment is off, the odds are that suffering isn’t far behind. Chiropractic adjustments bring you back to a healthy alignment so your body can begin to heal. Imagine being able to wake up pain-free every morning. No more pain killers or doctor visits that don’t produce relief. At Barkley Massage & Chiropractic, our chiropractors offer drug-free, non-invasive pain management that works. Make an appointment with our convenient Bellingham location today. We can’t wait to meet you.